There are so many opportunities during the day for a good hug! When the days starts, when we read a book, to say hello and to say goodbye, to say thank you and good night. And tomorrow we can find ever more opportunities for more hugs. Flip sided book full of beautiful illustrations you feel like touching, and calming rhymed text. 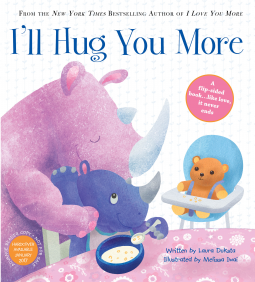 Ideal for a bedtime story, right before a huge hug. Thank *YOU* Reviews in Chalk for helping us spread the word! Sending Love and Hugs your way! !